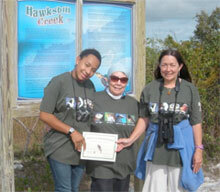 Freeport, Grand Bahama - We are excited about a new birding trail on Eastern Grand Bahama. A member of our Grand Bahama Birding Group, Rudy Sawyer, has been busy travelling out east for many weekends now in a quest to discover interesting birding sites. Rudy shared many of his findings with me and sent me an amazing number of his bird pictures (one of them even a "lifer" for me - an American Golden Plover!!) Hope to put him on my list soon! Freeport, Grand Bahama Island - During this year's International Migratory Bird Day Celebration (IMBD) throughout the month of October the Garden of the Groves is hosting an art competition for young people. The theme of the contest is "Go Wild - Go Birding" whereby students' imagination is allowed to picture birds doing wild and funny things! Freeport, Bahamas - During the month of October, conservation leaders, researchers and nature enthusiasts from across the Caribbean and the Bahamas will join forces to celebrate and promote public awareness surrounding the incredible phenomenon of bird migration. Each year millions of birds representing hundreds of species, travel between North America, the Bahamas, the Caribbean, South America and back. While ongoing threats like development, illegal hunting and destruction of habitat continue to endanger many of the nearly 350 species of birds that migrate annually between summer and winter habitats, conservation organizations and individuals have shown that they can make a real difference. Freeport, Bahamas - One hundred and sixty-two delegates representing thirty countries attended the recent 18th Regional Meeting of the SCSCB on Grand Bahama Island at the beautiful new conference centre at Pelican Bay Hotel, resulting in so many benefits for so many. It was the largest SCSCB meeting ever with the exception of the Cuba meeting of 2001. Freeport, Bahamas - Tour Guides of Grand Bahama Nature Tours and Calabash Eco Adventures are preparing to have over 100 delegates experience the natural beauty of Grand Bahama Island. Conference participants are in working sessions throughout the week, however, on Saturday they have the day to enjoy various nature tours focusing on birding but also integrating kayaking and "Jeeping" activities. Freeport, Bahamas - July 21st through 25 will be an exciting time for birding enthusiasts on Grand Bahama as Freeport has been chosen to host the 2011 regional meeting of the SCSCB! This is a great opportunity to meet ornithologists, writers, environmentalists and bird lovers from the USA, Mexico and the Caribbean, and anyone can attend! Please visit their website www.scscb.org and click on the Freeport Conference site for the programme and information on the speakers . Freeport, Grand Bahama Island - Birds outnumbered birders on our recent field trip. However, those who participated were treated to unexpected sightings. A migratory American Widgeon looked quite comfortable among a crowd of exotic Ringed Teals, Fulvous Whistling Ducks and a male Mandarin. Our February field trip will be this coming Saturday, February 19th. We will be visiting the Pine Forest and searching for Pine Warbler, Olive-capped Warbler and the elusive Brown-headed Nuthatch. Meet at 8 am at Thompsons' Real Estate at the Reef Golf Course. Freeport, Grand Bahama - In order to comply with the SCSCB (Society for Conservation and Study of Caribbean Birds) protocol and carry out the required second site inventory of the 11 ponds on the Reef Golf Course. 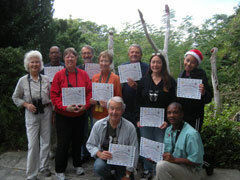 Freeport, Bahamas - The 10th annual Christmas Bird Count for the year 2010 was held this past Wednesday, January 5th, 2011. The Grand Bahama birding community enthusiastically participated in the count and joined visiting birding experts to form five teams that observed, identified and recorded species from sunrise to sunset. Freeport, Grand Bahama - The 2010 Christmas Bird Count will take place on Wednesday, January 5th from sunrise to sunset. Orientation meeting will take place Tuesday, the 4th at 5 pm at Garden of the Groves. On the evening after the count, the popular "tally rally" will take place at Garden of the Groves with everybody sharing dinner and the excitement of the day's sightings. Freeport, Grand Bahama - Over the past ten years, during the month of November, the Garden of the Groves in conjunction with the Bahamas Ministry of Tourism has been conducting a basic birding course for interested persons of the Grand Bahama community. Over 200 nature and bird enthusiasts have participated in this program which is led by Erika Gates. 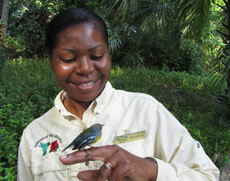 Erika is a certified Bahamas Birding Guide, has studied Bird Biology with Cornell University and wrote a book in 1998 on the Bahamian Speciality birds and their habitat. Freeport, Bahamas - During the month of October the Garden of the Groves joined forces with local school teachers and birding enthusiasts to promote public awareness surrounding the incredible phenomenon of bird migration. Freeport, Grand Bahama - During this first week of October several schools seized the opportunity to send classes to an informative session and field trip at the Garden of the Groves. Mrs. Marilyn Laing, coordinator of this year's Migratory Bird Day events for children introduced the youngsters to the amazing journeys that migratory birds take each year. Later, over complimentary coffee, tea and pastries, we will select the birder with the largest number of species on his or her list. 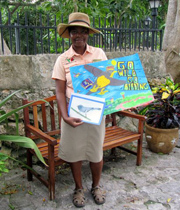 This person will receive a "Birds of the Bahamas..."
Freeport, Bahamas - While ongoing threats continue to endanger many of the nearly 350 species of birds that migrate annually between summer and winter habitats in Canada, the United States and the Bahamas as well as throughout the Caribbean and South America, conservation organizations and individuals have shown that they can make a real difference. Grand Bahama, The Bahamas - There is excitement in the birding circle on Grand Bahama Island these days. During the 10th annual Christmas Bird Count on December 18th of 2009 the visiting experts and local birders had recorded 117 species on this island - the highest number ever observed! When the final tally was held at Garden of the Groves birders were not only pleased to have surpassed the Nassau and Abaco counts but were ecstatic at the high number of species which is an indication that birding populations have rebounded on Grand Bahama Island after the devastation of three major hurricanes in 2004 and 2005 when some species had been decimated by 75 %. On Saturday, Oct 18th the Grand Bahama Birding Group gathered at Garden of the Groves to observe migratory birds that have arrived for the winter. International Migratory Bird Day is a celebration of the spectacular journey that migratory birds take between their summer and winter homes. 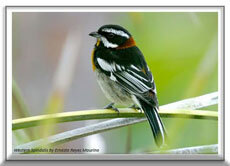 The event is sponsored by the Society for the Conservation and Study of Caribbean Birds and Bird Life International. 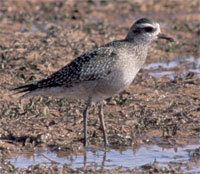 Many species of migratory birds spend the winter here or migrate through the Caribbean. They rely on food, water and shelter provided in our forest, scrub and wetland habitats for up to nine months out of the year.